A Book of Spirits and Thieves by Morgan Rhodes is the companion novel to her Falling Kingdoms series! It is the first book in it’s own trilogy that follows an eclectic cast of characters as the navigate the real world and ancient Mytica. 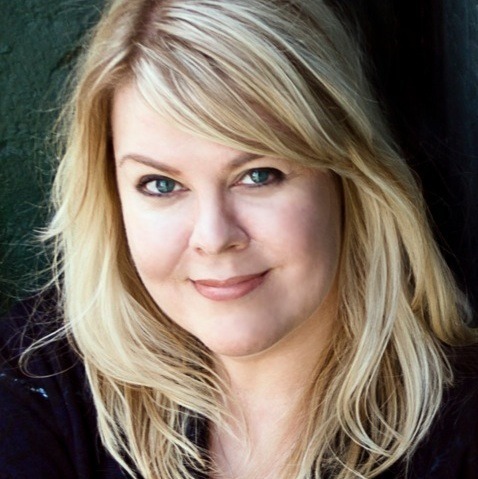 First and foremost I want to say that Falling Kingdoms is my favorite series of all time and that Morgan Rhodes is an absolute gem of an author! I was able to attend the book launch for this book back in June of this year and was able to meet and speak with Morgan Rhodes herself at her signing. It was such a blast and further solidifies my love for the series. So anyway, enough babbling on, lets get to the review portion! A Book of Spirits and Thieves which many of you guys know it from its abbreviated form, ABOSAT, takes place in two different worlds or times (I don’t know which one is correct). In modern day Toronto (my hometown, how EXCITING) we meet sisters Crystal and Becca and the badboy Farrell. After a mysterious package arrives at their bookstore that their family owns, Crys and Becca decide to open it and see what’s inside. What they didn’t expect to see was an ancient book written in a language they have never heard of. Upon opening the text, Becca becomes catatonic as her spirit is sucked into the book and transported to another world/time. Now Crys must find the answers to save her sister, Farrell must do everything in his power to get that book for his master, and Becca and Maddox (the boy from Mytica that can see spirits) must figure out a way to stop the powerful Goddess Valoria. This book has everything! The plot was absolutely exciting as it takes you on a magical journey in search for answers. It is told by alternating points of view from Crystal, Farrell, and Maddox (with spirit Becca), so you get deep into all the characters mindsets. You get to see their struggles, accomplishments, and thoughts. With a plot so thickly woven with magic and fate it is no wonder I gave this book such a high rating! Morgan Rhodes has outdone herself with the writing of this book! Not only can she tell a great story with vivid descriptions and complex characters, but she always sets the right tone. With alternating points of view it never seemed messy and jumbled. She perfected her characters personalities and personas in a way that I have never read before! The four main characters of the story were all so different and exciting to me! Crystal is fierce, protective, cunning, careless and loyal. Even though her relationship with her sister has been rocky lately and she always seems at war with her mom, she fights with all that she can to save her sister and her family. She has strong will and desire to protect the ones she loves which is very admirable of her. Farrell Grayson is the quintessential rich bad boy. I loved his chapters probably the most just because of how complex he is. He is apart of an underground society called the Hawkspear Society in Toronto. Throughout the whole novel he seems to struggle with the right thing to do. But as the power becomes greater and greater his mind seems to become brainwashed to do his master’s bidding. I hope he can overcome this in the future installments to the series! And finally we have Maddox and Becca! Our very first insta-love of the series. Oh how I hate those… but I do like their characters individually! Maddox is trying to come to terms with his new powers and the origins of his ancestry. When he meets Becca in spirit form he thinks he’s going crazy. It isn’t until he gets captured by Valoria that he realizes that the situation is far greater than he thought. As for Becca, even though we don’t get her point of view yet we know that on the outside she has a strong facade. So I am looking forward to diving deep into her character in the next books! I have a love hate relationship for the setting of the book. Although it is very unique in the aspect of getting modern day vs. old world Mytica, I struggled a bit. As much as I loved having a book set in my hometown of Toronto and knowing where all the landmarks used in the story are, I just didn’t connect with it as much. I like fantasies that are set in a new world not like my own. It’s hard to explain in full detail what I’m feeling in this aspect of the story. Which is why I consider it a love hate relationship. I loved the use of my hometown of Toronto, but I just wished there was more of the story in Mytica. That is the world I want to explore more of. Since it is in the time of the Goddess’, I really want to dive deeper into it’s history and beginnings. 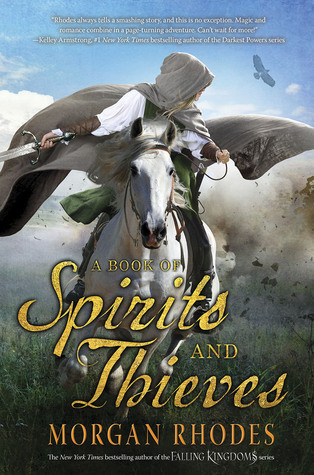 A Book of Spirits and Thieves by Morgan Rhodes was an amazing companion to the Falling Kingdoms series. Many of the confusing aspects from Falling Kingdoms come into light and are answered in this book. I had a lot of fun fitting the puzzle together and getting the history of the Mytica I know an love. If you guys haven’t already checked out my GIVEAWAY of a Signed Copy of ABOSAT, then go check it out HERE and enter! (GIVEAWAY IS CLOSED NOW) If you have read it, let me know what you think in the comments below. I would love some other opinions of this book from you guys! This entry was posted in Menu and tagged Action & Adventure, August, Fantasy, Magic, Morgan Rhodes, Razorbill, Review, Romance, Young Adult. Bookmark the permalink. I seriously can’t wait for Frozen Tides!! I love the idea of this book! Have to check it out. Definitely! It’s such a great book! This was a phenomenal review, it makes me want to read this book SO SO badly. In fact, your overall love for the Falling Kingdoms series and this book as be tremendously yearning to have these books in my hands and on my bookshelves. I think I’m really missing out of something incredible. Morgan Rhodes seems to write books with multiple POVs. I must ask, how well is it written? Has she executed multiple POVs well? In your opinion? That aspect makes me even more eager to read it.